Could a cure be on the way? The current treatment for HIV is antiretroviral therapy (ART), a series of medications that suppress the growth of the virus. ART, however, cannot spot HIV-afflicted cells that have become dormant but may still reawaken to infect the patient. 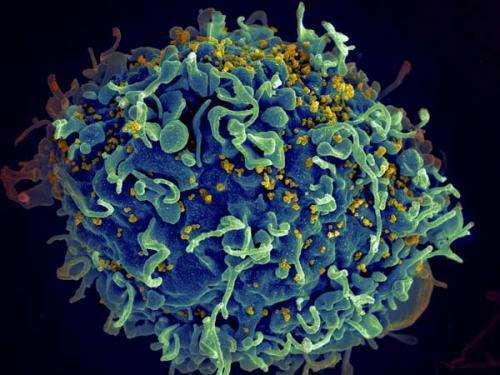 Professor Sarah Fidler, a consultant physician from Imperial College London, said, “This therapy is specifically designed to clear the body of all HIV viruses, including dormant ones. The experimental therapy works in two stages. First, because the immune system doesn’t just ignore HIV, it helps the virus reproduce, the patient is treated with vaccines that help the body recognize the HIV-infected cells. Second, the drug Vorinostat is administered to activate the dormant cells so they can be spotted by the immune system. Credit: Seth Pincus, Elizabeth Fischer and Austin Athman, National Institute of Allergy and Infectious Diseases, National Institutes of Health. HIV continues to be a major global public health issue, having claimed more than 35 million lives so far, and the “cured” man is one of just 50 people currently undergoing this experimental therapy, a small percentage of the estimated 36.7 million people currently living with HIV, only 54 percent of whom know their status. While the results of the treatment out of the UK are promising, those dormant T cells could still be lurking in the patient, so this new treatment can’t yet be considered a “cure.” However, it is another encouraging step forward on the path to one.